Monday is Martin Luther King Day. Last week I wrote about Martin Luther King Day for Preschoolers and that has become my most visited blog post ever. 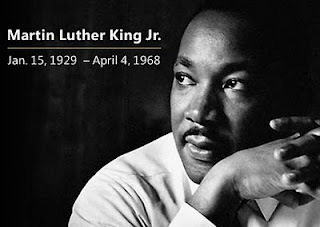 Today I am writing about MLK Day and older children. What a great opportunity MLK Day presents to have a meaningful conversation about social justice and peace with your grandchildren. Will you be with an age diverse group of grandchildren? If you are as old as I am you can start with your personal experiences in the 60’s. Last year I wrote about my conversation with my son when he was 7 years old. Click on the title to see that article. Social justice and peace are subjects of interest that can cross generations and talking about it can increase the respect you have for each other. Conversation can lead to advocacy. There are lots of ways to advocate for social justice and peace on MLK Day. You can start with a discussion about social justice and identify causes and organizations that your “group” supports. Do some Internet research and take action!. Write to your elected officials. Sign online petitions. Print out articles for reference and further action – perhaps attend a rally or event. You may even consider sponsoring each child to make a donation to their favorite cause. MLK Day is now designated as a National Day of Service and there are volunteer projects being planned by nonprofits throughout the country. It is easy to find one that suits you and works for you and your grandchild. VolunteerMatch lets you do a search by area and check off Kids, Teens, Over 55 and groups as categories. There are literally thousands of opportunities listed. Check your local resources for local opportunities or create a new one. Is there a day care center that needs painting? Does your family sing and play music – visit a nursing home and entertain. Many museums and libraries have special events for MLK Day. Especially if you have elementary school age grandchildren you may find excellent programs to bring the kids too. I know that the Newark Museum, near where I live has performance and interactive workshops planned for the afternoon. Martin Luther King Day can bring the generations closer together. Whether a child is elementary school age, a tween, teen or college age there are opportunities to grow closer and for character building. Don’t miss the opportunity. I was raised in the segregated South, and I can (and have) told my grandchildren about separate water fountains and rest rooms for blacks. Also, they could not swim in our public swimming pools, and they had to sit in the balcony at the movie theaters. Motels and restaurants were also completely segregated. I'm not proud of our past, but I think they need to know about it. Great ideas, very thought-provoking. Most children have no idea what things were like before the civil rights movement and it's important they understand.